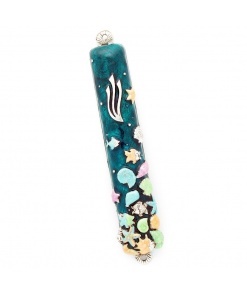 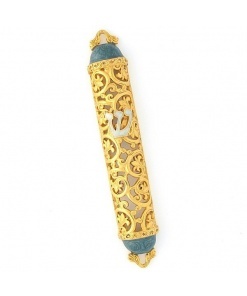 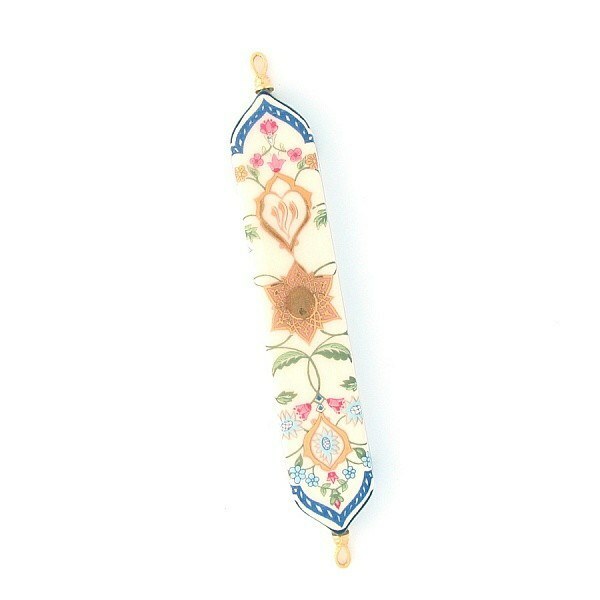 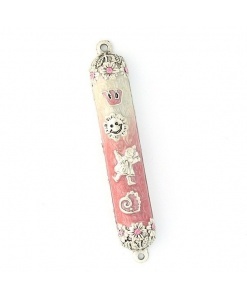 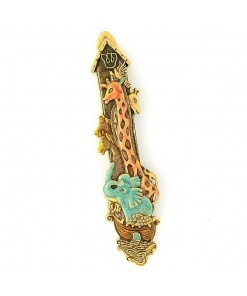 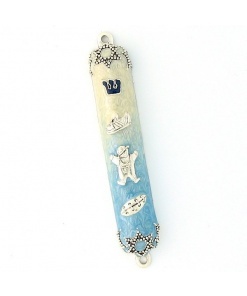 This exquisite mezuzah case was designed and executed in the workshop of Danny Azoulay. Danny, born in Morocco and raised in Israel, is a prize-winning graduate of the prestigious Bezalel Art Academy in Jerusalem. 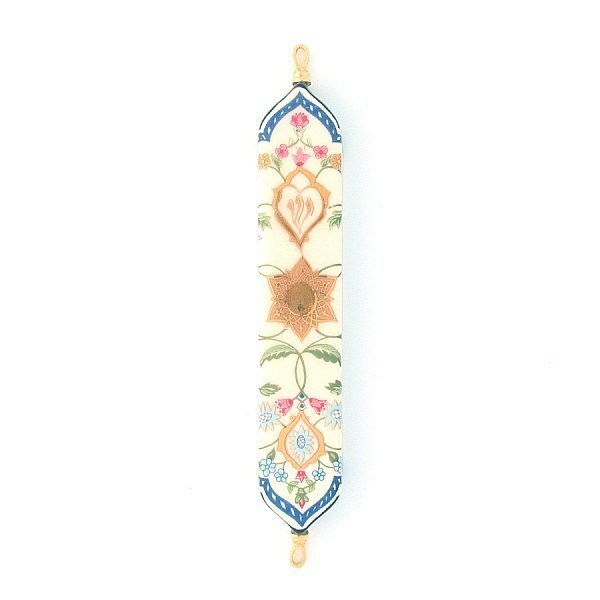 He has exhibited his works in gallery shows in Israel, Europe and the United States. 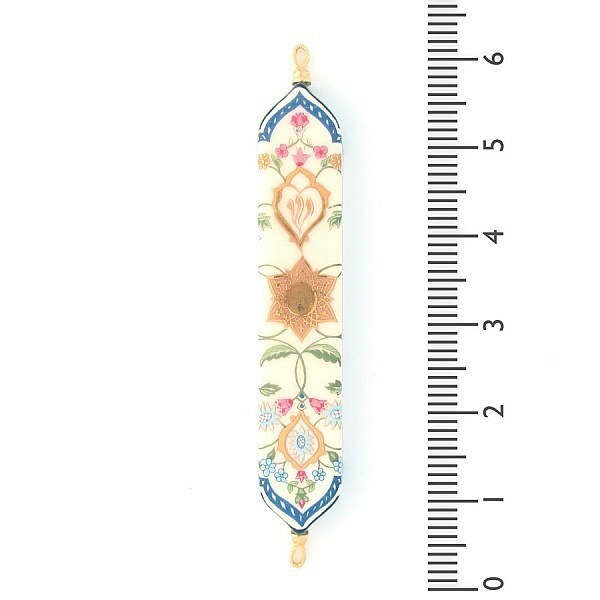 Danny brings to all his work a dedication to perfection, which is attested to by his careful attention to details of design, color and execution. 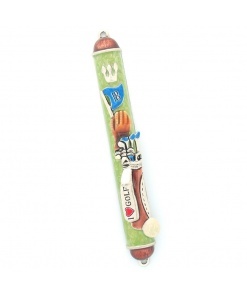 His creativity expresses itself in all the lovely objects which issue from his Jerusalem studio. 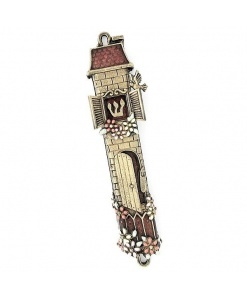 All, without exception, reflect deeply traditional aspects of the rich Jewish experience. 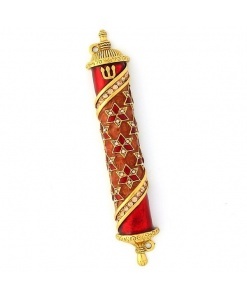 The acquisition of one of Danny’s Judaica items represents, in a very real sense, a positive step in enhancing Jewish values in every home.